Avendus Capital advises Lenskart on its fundraising from Premji Invest. Lenskart.com, the brand responsible for revolutionizing eyewear in India has raised funding from Premji Invest, the investment office of Azim Premji. 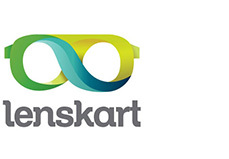 Lenskart’s aim is to expand access to high-quality and affordable eye-care products across India. Premji Invest has had a strong focus on consumer and retail brands and upholds the reputation of being a long term partner that supports founders and management teams of brands like FabIndia, Myntra, Future Lifestyle Fashions and Vasmol in expanding their portfolio, enabling business initiatives, supporting organic sustainability and driving strong governance. Lenskart is one of the leading players in the Indian eyewear market with presence in the assembly, manufacturing, wholesale distribution and supply of High Quality eyewear products, such as eyeglasses, power sunglasses and contact lenses. With this investment, Premji Invest joins other marquee investors like IFC (venture capital arm of World Bank), TPG Growth, IDG Ventures, Unilazer Ventures, Adveq on the company’s cap table. Commenting on the collaboration, Peyush Bansal, CEO and Founder, Lenskart said, “We are thrilled and humbled with the confidence shown by Premji Invest in Lenskart. With this collaboration, the company will be able to draw on Premji Invest’s extensive experience, particularly in retail and creating long lasting brands to realize its potential and develop best practices.” We intend to grow strategically thereby strengthening our presence via both online and offline channels. The transaction comes three months after it got 400 crore, in a round led by International Finance Corp, the private sector investment arm of the World Bank. Apart from IFC, the other marquee investors like IFC, TPG Growth, IDG Ventures, Unilazer Ventures, Adveq have also previously invested in the company. Founded in 2010, Lenskart is India’s largest online retailer of premium quality and stylish eyewear, offering over 10,000 different styles to suit all pocket sizes and diverse consumer needs. With a unique click and mortar business model, Lenskart is revolutionizing the eyewear industry by offering disruptive services like Free Home Eye check-up, 3D Try On, Free Home Trial and First Frame Free among others. Through innovative technology and a deep focus on consumer satisfaction, Lenskart has grown more than 200% year on year in the last 2 years, to be among the top 3 optical businesses in India. With a rapidly growing employee strength of more than 900, Lenskart is present in over 100 stores across more than 66 cities in India. Lenskart has been funded by three venture capitalists till date, namely IDG Ventures ($4 million in October 2011) and Ronnie Screwvala-led Unilazer Ventures ($10 million in February 2013) and TPG Growth & TR Capital ($22 million in January 2015). Premji Invest was formed in 2006 to invest for entities belonging to Mr. Azim Premji, Chairman and Founder of the Wipro Group. The entities, which include investment vehicles and endowments to support Azim Premji Foundation, have assets exceeding $3 Bn under management. The group invests in both public and private companies, which are driven by management teams with strong ethics, transparency and integrity and have demonstrated scale using organic growth management. The firm has funded more than 40 companies across sectors such as technology, consumer & retail, healthcare and financial services. IDG Ventures India is a leading India-focused technology venture capital fund. The fund is part of IDG Ventures, a global network of technology venture funds with more than US$4 billion under management, over 200 investee companies and 10 offices across Asia and North America. The fund's lead investor and sponsor is the International Data Group (IDG), the world's largest IT media company. The company invests at seed, early and expansion stages in technology and technology enabled ventures across sectors like consumer media & tech, software, health-tech and fin-tech. The Avendus Group (Avendus) is a leading provider of financial services with an emphasis on customized solutions in the areas of financial advisory, capital markets, wealth management, credit solutions and alternative assets management. Avendus relies on its extensive experience, in-depth domain understanding and knowledge of the regulatory environment, to offer customized solutions that enable clients to meet their strategic aspirations. Avendus Capital has consistently been ranked among the leading financial advisors by overall number of deals. In CY2015, the firm was amongst the top three financial advisors by overall number of deals in India (as per Mergermarket). It has a strong track record crossborder transactions and has helped multiple clients benefit from opportunities across geographies. Avendus’s wide range of clients is testimony to its ability to serve its corporate clients throughout their life cycle – from growth stage funding to complex, large sized transactions later in the cycle.